A leaked draft describes revised strategies, new weapons and threats, and a worrying potential for more "usable" nukes. As a candidate, President Donald Trump reportedly questioned why the United States had nuclear weapons if it could never really use them and has since pledged to dramatically increase the capability of America’s deadliest arsenal. 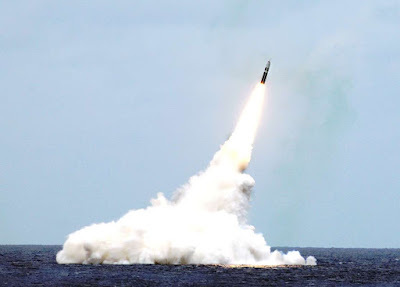 As such, latest Nuclear Posture Review was always going to be significant, but our first glimpse of the new policies shows a particular dramatic shift in thinking, which not only preserves the nuclear triad in its present form, but looks to expand it considerably in many ways. WNU Editor: The Nuclear Posture Review draft is here.